My name is Kyle and I would like to thank you for visiting hawaiichefs.com. After graduating culinary school and working in the field for a while, my wife and I decided to follow a long time dream and move to Hawaii. The beautiful weather and friendly people were a big draw for us, but since we are both in the industry, the food scene here was a big draw as well. Hawaii is an amazing culinary melting pot with many different cultures and food styles represented on each island. We started hawaiichefs.com to help show the world what an amazing group of talented chefs call Hawaii home, and to give people a way to research and hire these chefs for a unique at home dining experience, or to help with catering needs. 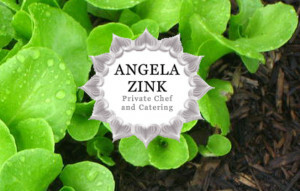 We also wanted to offer these chefs an easy and affordable way to showcase their abilities and offerings. 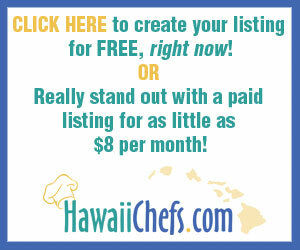 Hawaiichefs.com also gives chefs in Hawaii a way to offer their services as private chefs or caterers either as full time work or as a way to make some addition income on the side as their schedule allows.